Dr. Lederman is on site in the Ambulatory Surgery Unit twice a month. Dr. Lederman is the Director of Interventional Pain & Acute Rehabilitation at Northern Light A.R. Gould Hospital. Dr. Lederman completed his medical internship, residency and fellowship at the Montefiore Medical Center, Bronx, NY. 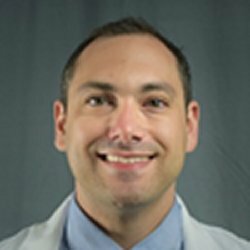 Dr. Lederman was Chief Resident of Montefiore Physical Medicine & Rehabilitation, 2015-2016, he has received numerous awards including North American Neuromodulation Society Junior Scientist Award in November 2016, Albert Einstein COM Leo M. Davidoff Society Award for Outstanding Achievement of the Teaching of Medical Students May 2016, Iota Epsilon Alpha Internal Honor Medical Society, St George’s University School of Medicine 2008-2012 and Robert Winthrop Scholarship for Outstanding leadership, academic and athletic ability. Harvard University 2001-2005. 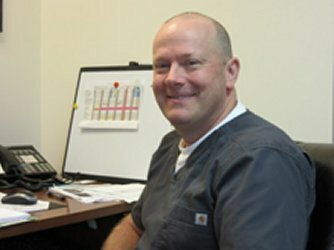 The Houlton Regional Hospital Pain Clinic team also includes Surgical Services, Anesthesia, and Radiology. Appointments to the Houlton Regional Hospital Pain Clinic may be made through referring Medical Providers by calling 532-3289.